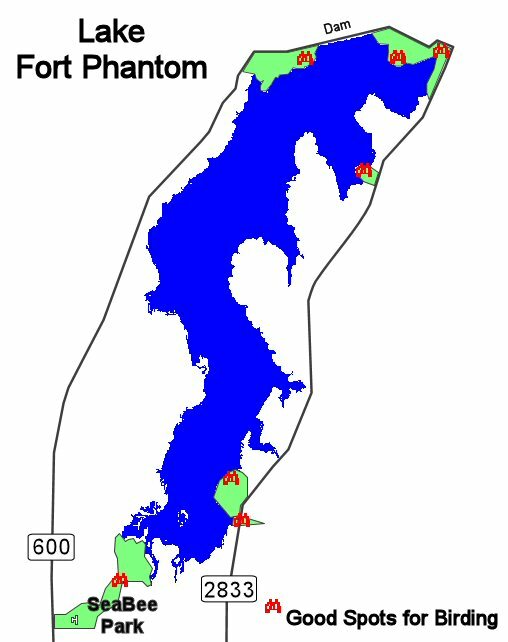 Lake Fort Phantom Hill is located in Jones County just north of I-20 between West Lake Road (FM 600) and East Lake Road (FM 2833). Both sides of the lake are good for birding, just pick your side according to which way the sun is shining. Nothing’s worse than trying to bird across the water when the sun’s reflection is bouncing off the water right back into your eyes. To access West Lake Road take FM 600 exit off I-20 and drive north. Great places to stop along West Lake Road are Seabee Park and Johnson Park. Passerines and shorebirds hang out at Seabee, and to a lesser extent at Johnson Park. Johnson Park has a boat launch, picnic tables, and wading area so it gets lots of use. We have found Golden-crowned Kinglet and Pine Warbler (in winter) and Painted Bunting, Curve-billed Thrasher, Cactus Wren, Bullock’s Oriole, and Bell’s Vireo in the spring/summer. From Johnson Park you can continue around the dam and to the north end of the lake. You’ll intersect with CR 2833 and can continue around the lake on East Lake Road. Just read the following paragraph in reverse. To access East Lake Road take CR 351 (Ambler) exit off I-20 and drive northeast on 351 for 0.5 miles until you come to East Lake Road (CR 2833). 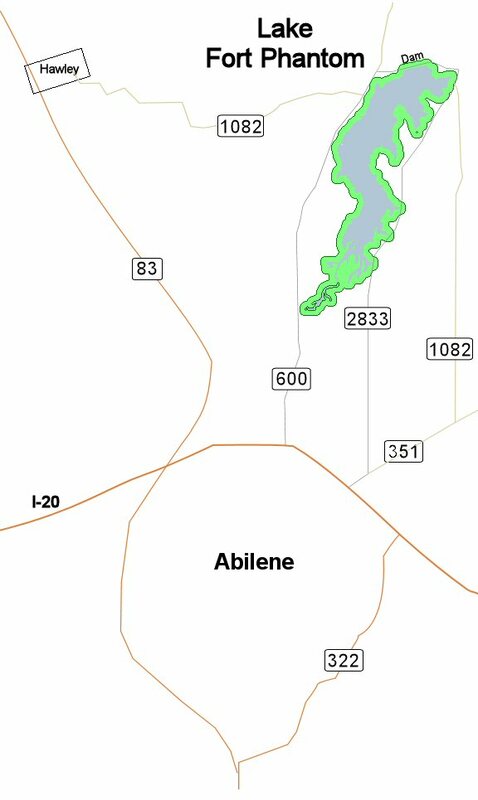 The places to stop along East Lake Road are the boat ramp (there’s a sign pointing you in the right direction) to scope the lake and the mesquite scrub habitat area around the lake for passerines. Sandhill Cranes lift off early in the morning (in winter) from the south end of the lake and this is an excellent area to see them rise into the air. Drive the public residential roads for hawks and passerines. Towards the north end of the lake you will find several places to pull off and go to water’s edge to look for shorebirds and other waders. In August 2006, there were several Roseate Spoonbills hanging out at the north end of the lake. To access the north end, turn onto FM 1082, go around one curve, and before you curve again, pull off right after the low water crossing. Here we have found Whimbrel, godwits, plovers, dowitchers, peeps, and a Reddish Egret (2003). When you get back on 1082 it will take you across the dam and the road will intersect with West Lake Road (FM 600). Just 2 miles north on FM 600 are the Fort Phantom Hill ruins. This is a great place to bird for passerines, especially sparrows in winter. Pictures of the lake, Seabee Park and historical ruins are now posted in Pictures-Birding Locations.